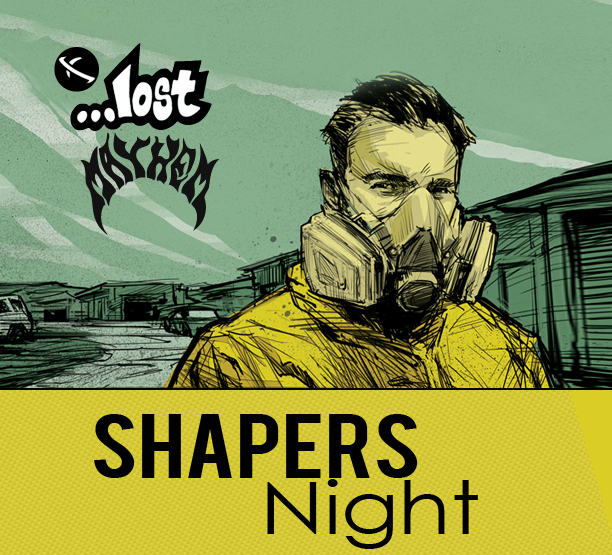 We’re having two Los Angeles area “Shapers Nights” in a row! The first one is February 20th at Rider Shack and the second one is February 21st at ET Surf. Come talk one-on-one with Matt “Mayhem” Biolos about surfboard design, tech and function. You can design your next custom board in CAD with Mayhem. Every new …Lost surfboard sold (stock or custom) gets $100 off + a free pair of boardshorts. There will also be a live performance from San Clemente’s Tunnel Vision and an indoor glassing demo from E-Tech. Plus free food, drinks and more …lost giveaways. See addresses and more info below.